It’s not often that a player finishes in the top five of Most Improved Player voting one season, then comes back the next campaign and again emerges as a MIP candidate, but Randle managed to achieve that rarity after signing as a free agent with New Orleans. 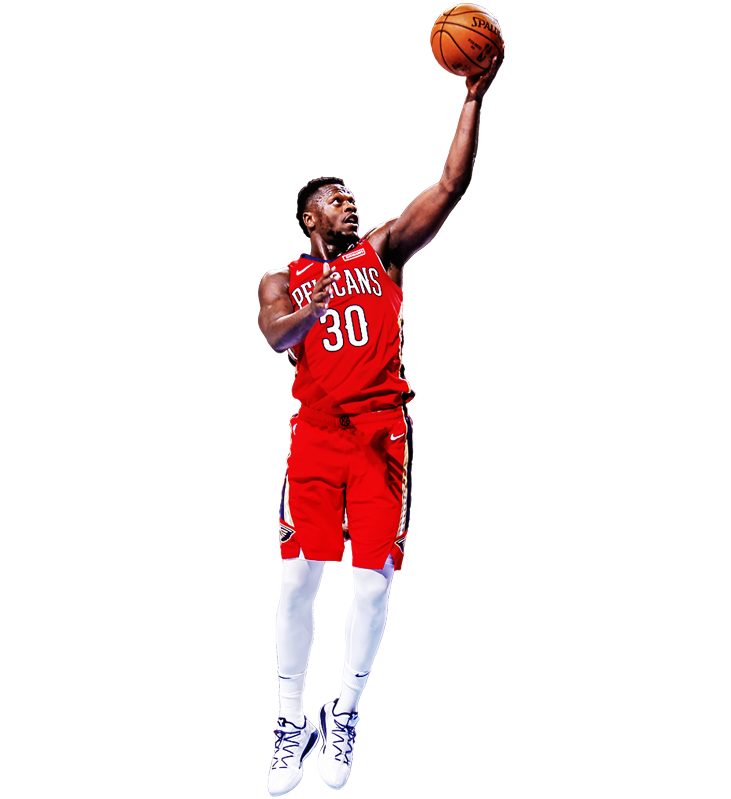 While recently listing Randle as the most likely Pelicans player to capture an individual award, Hoops Hype described his addition as “a downright coup” for the team. Randle actually began ’18-19 as a frontrunner in the Sixth Man of the Year category, but was elevated to No. 1 scoring option in the second half of the season and delivered the best stretch of his five-year pro career. He averaged 24.6 points per game after the All-Star break, ranking 18th among all players (sandwiched between Damian Lillard’s 24.7 and Stephen Curry’s 24.6 ppg on the list). 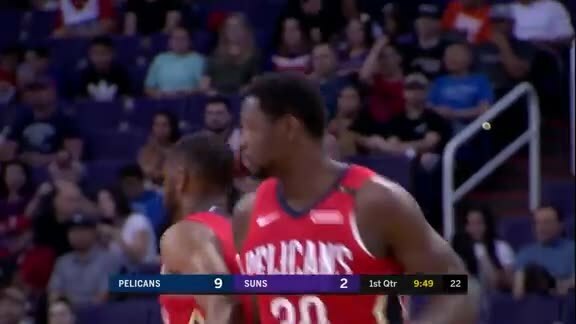 After four non-playoff years with the Lakers, many expected Randle to make his NBA postseason debut in ’19, but the Pelicans finished 33-49, one difficult aspect of his initial season in the Crescent City. “It is disappointing for me personally, because I pride myself on winning,” he said. 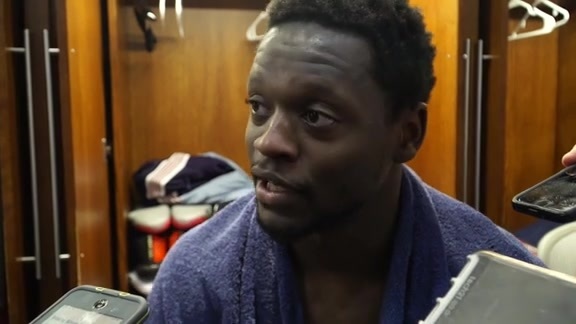 “Hopefully I can do more of that next year, and I’ll find more ways to help the team win.” Randle signed a two-year contract in July with New Orleans, with a player option for ’19-20, meaning he can become an unrestricted free agent again this summer. While acknowledging that it’s impossible to predict what will happen in this Pelicans offseason and how changes might affect his potential role, Randle said repeatedly during an April 10 exit interview that his preference is to remain in the Big Easy. 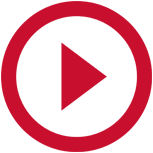 “Like everything else in the league, you want to be wanted,” Randle said of one factor in his free-agency decision. “I just want to continue to develop and build off what I was able to do this year. Most importantly, I want to be able to compete to win." 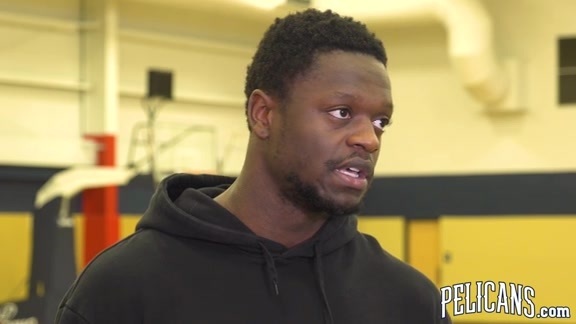 Randle described his first year with the Pelicans and in New Orleans as an extremely positive experience, on and off the court. Among the 17 players with a higher scoring average than Randle after the All-Star break, 11 were selected as All-Stars in February. The exceptions were Devin Booker, Brandon Ingram, Zach LaVine, Mike Conley and Trae Young. Career-high scoring average over the entirety of ’18-19 for Randle, who nearly produced an identical effective field-goal percentage from the previous season, despite a significant increase in volume (14.9 shots per game, compared to 11.0 in ’17-18). Scoring average in 24 games off the bench for Randle, making him one of the NBA’s most productive reserves early in the season. 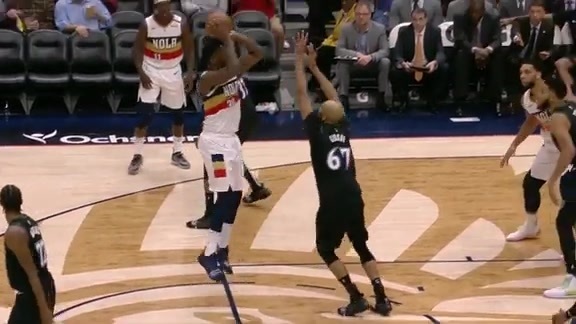 His final appearance of ’18-19 in the second unit was Feb. 12 vs. Orlando, the Pelicans’ second-to-last contest prior to the All-Star break.